Free from sales and gimmicks, Power Platform Summit brings together the largest gathering of Power platform users and partners for education and networking. Technical experts will share their specific knowledge and expertise to help you make the most of your current Power BI, PowerApps, and Flow products. You will leave Summit more educated about the products you work in every day and you’ll learn practical tips you can take back and implement. My team really looks forward to the Summit conference every year. It’s not only a tremendous way to gain valuable insights that we take back to our company, but it’s also great to meet the folks who make up the user group community. Power Platform Summit delivers the can’t-miss annual conference for users of the Microsoft Power platform – Power BI, PowerApps, and Flow. With credible peer-to-peer knowledge exchange at its core, this event provides focused learning and networking as users gain instrumental solutions for their everyday Power platform challenges and larger organizational goals. In every industry and across the globe, Summit is well known as a premier user-centric experience. Microsoft Dynamics 365 for Finance & Operations/AX, Microsoft Dynamics 365 for Customer Engagement/CRM, and Power BI, PowerApps, and Microsoft Flow. 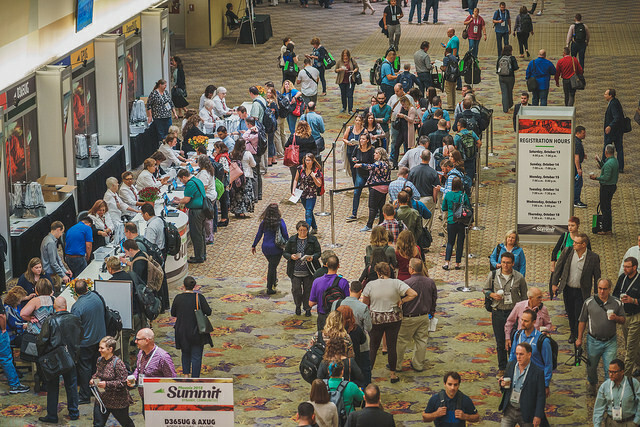 At Summit, you can discuss your challenges and opportunities with seasoned Users, Partners, and Members. Summit is for collaboration. We are there for each other, we are there to learn, and we are there to hear the success stories of others. You don’t have to worry about laying out a convincing argument because we’ve crafted one for you.